The perspective of local counsel can be helpful in developing a defense philosophy and how to best spend defense costs so that they have a maximum impact on indemnity payments. Local counsel has a unique perspective on key issues as they are on the front lines. They meet the claimants face to face. In most cases, a good defense firm will know the local plaintiff’s bar well. It knows which plaintiff’s lawyers settle cases early in litigation and which ones will try the marginal case (and which ones do it well). Defense counsel usually know which plaintiff’s lawyers drive up defense costs at every opportunity, which ones are able to fund expensive litigation and which ones fail to work up a case. It knows how judges manage their dockets and how likely a trial date is to put pressure on plaintiff’s counsel. The company needs this insight in managing the litigation. The global goal for the management claims as a cost center is simple: to minimize the sum of both indemnity costs and defense cost in such a way that has the best possible effect on the bottom line. This had been referred to as the Aggregate Claim Cost. The Aggregate Claim Cost is the claim value (either the verdict estimate or settlement value) plus defense cost (fees and expenses both internal and from the outside firm). In a normal claim with an accurate evaluation and a well prepared case, the cost at which a case can be settled goes down closer to trial. This is true because of the pressure put on claimants to 1) avoid the risk of uncertainty at trial and 2) avoid rising litigation costs that come with deposing defense experts and treating physicians, preparing experts, and preparing for trial generally. With these two factors in mind, companies should use defense counsel to use the uncertainty that comes with trial (developing any liability defenses and minimizing damage claims) during discovery. It also needs to keep the case on an aggressive discovery track when possible. Staying on top of deadlines and keeping a rapid pace during discovery is important. It puts plaintiff in a responsive and reactive posture during discovery and helps avoid surprises. Defense counsel should express to opposing counsel early in litigation that it intends on trying the case on the first trial setting and doesn’t see any reason it can’t be ready. Plaintiff’s lawyers will invariably prefer a delay or continuance because it allows continued negotiation without the pressure that comes from a trial date. It is always helpful to do an estimate of how much the claimant has spent preparing the case in discovery to determine the pressure to settle the case. A willingness to try the case goes a long way towards a reasonable settlement. However, the appearance is only meaningful if the company is actually willing to try the marginal cases. 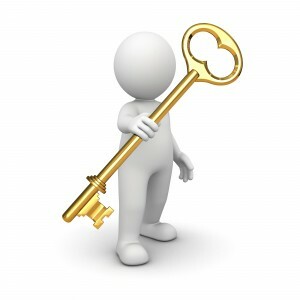 That is why trial experience is essential, both with the local lawyer and the claim manager. It is essential to have an accurate estimate of the claim value early in litigation. Plaintiff’s lawyers pay attention when a company settles a case for significantly more than the last offer once trial is imminent. This is not to say that the value can never change upward. A doctor can testify in an unexpected way or a corporate or company witness deposition can go south (despite thorough witness preparation) which will change an otherwise accurate valuation early in litigation. However, these deviations are usually the exception, not the rule. 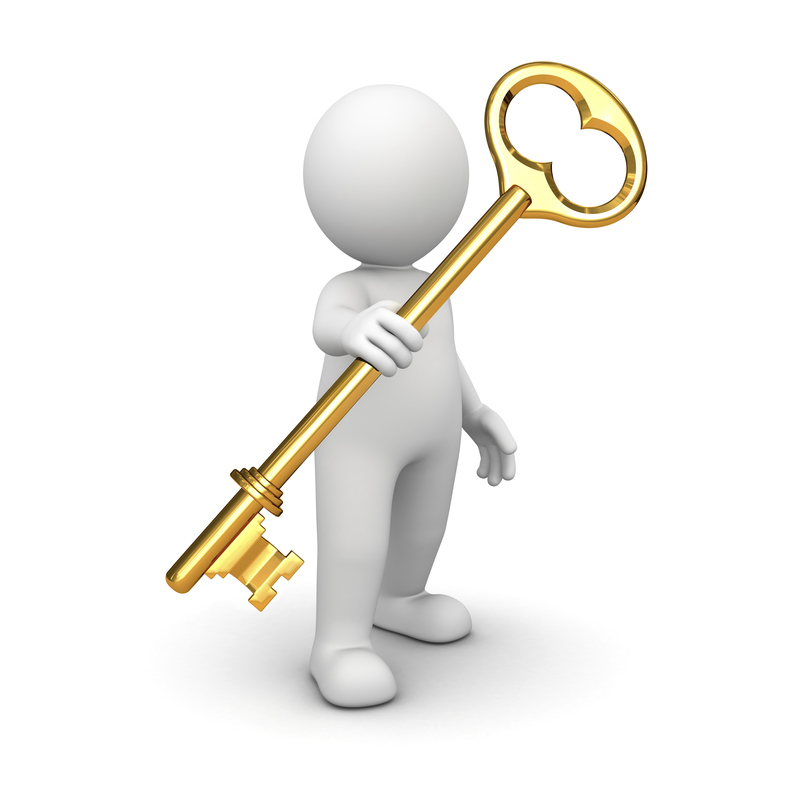 The ability to pick an accurate final value and stick with it throughout discovery is paramount. Defense counsel and the company need to have a clear strategy supporting any negotiations and need to agree early on the potential verdict range. The estimate should only change based on significant case developments. The effective use of defense counsel significantly improves the bottom line. Functional communication about issues and strategies with defense counsel can ultimately save indemnity dollars. Of course, the worst defense counsel you can use is the one that can’t be reached or doesn’t return calls or requests for reports. Finding defense counsel you can count on saves in both aggregate claim costs and indemnity dollars. 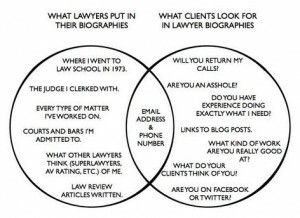 And with that in mind, I close with the following Venn diagram, courtesy of Matthew Hohman. How do you think total indemnity costs can be lowered when your claims are involved in litigation? Tagged with Cost Savings, Defense Counsel, Expense Management, Litigation Management. 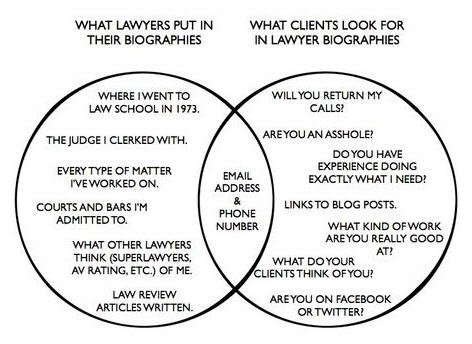 You forgot: “Will you return my phone calls once I can’t give you any business?” Perhaps you covered that in the Venn. Great article, BTW. Thanks, Nancy. Drop me an email at Jpattillo@nwkt.com to connect. thinking as detailed above will continue to lead to claims increasing in costs. Nothing new here, funny Venn though.